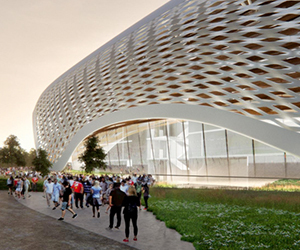 The Minister supporting Greater Christchurch Regeneration, Nicky Wagner, has released the pre-feasibility report for a Multi-Use Arena in Christchurch. The report considers the viability of an arena and outlines four options of varying size, functionality and cost. “This report provides the Government and Christchurch City Council with some direction and clarity. It reinforces the need for a multi-functional and flexible facility capable of hosting everything from a test match through to a cultural festival, food show or concert tour,” Ms Wagner says. “Any option must be an asset for Christchurch, Canterbury and New Zealand. That means generating revenue, but it also means embracing innovative trends and new technologies. A 25,000 permanent seat arena (plus 5000 temporary seats), with 75-80 per cent roof cover for an estimated $368 million. A 25,000 permanent seat arena (plus 5000 temporary seats), with a transparent enclosed roof for an estimated $465 million. A 25,000 permanent seat arena (plus 5000 temporary seats), with a solid roof and retractable pitch for an estimated $496 million. A 30,000 permanent seat arena (plus 5000 temporary seats), with a solid roof and retractable pitch for $584 million. The next step is to decide on a preferred option and further develop the business case. More than 50 organisations and individuals were consulted during the pre-feasibility study.